Get coordinates number for any location on your any iOS device using an app or Without Application. Old iOS version doesn’t have an option use compass app officially, because it’s not pre-installed with new iOS upgrade or Firmware installation. So for all the cases, here I give alternate ways to get GPS coordinates of the current location in Longitude or Latitude. Note: Many users have also query on Compass app not showing current GPS coordinates in digital numbers. So, don’t be hesitate and follow the below steps carefully. Step 2: Next, Tap on Privacy option. Step 3: Then, Location Services > Enable Location Services toggle. 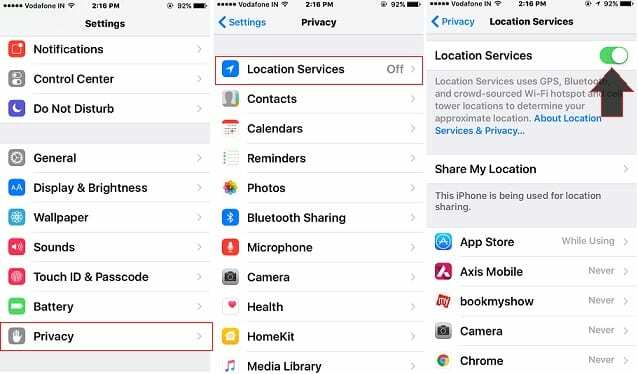 Step 4: Scroll Down towards the full list of apps that are using Location service to run. Step 5: Choose, Compass app and Select Option for While Using the app. 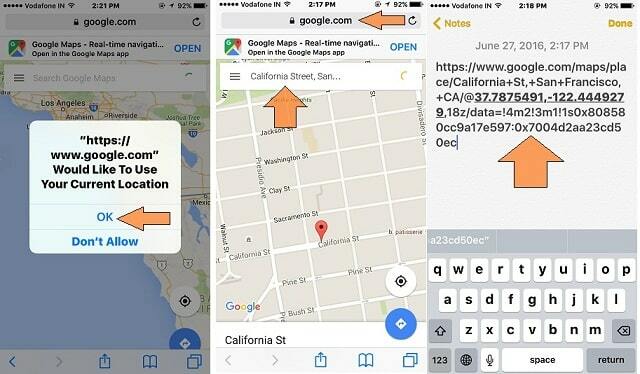 Go to the Safari App on iOS device; next enter google maps in URL search box. Enter a place name in the Place search box or directly move your location by a tap on blue round, which will automatically track the location and will be shown on Map. Note: For auto detects location, you need to give permission to safari app to use location service while in use. Copy URL from safari webpage and Past in note app for easy to find GPS coordinates (Longitude or Latitude). See the below image, I marked numbers for highlighted and underlined. That’s it; this is the way to find/ get GPS coordinates from Google maps iPhone. Easy GPS: Location track in GPS coordinates (Latitude/ Longitude), Degree/ Minutes/ Seconds and Decimal Degree. And many premium features allow Find location area from Coordinates, Map Widgets, Compass and Google Maps add-on. See more about the app here and Other Commander Compass Lite. 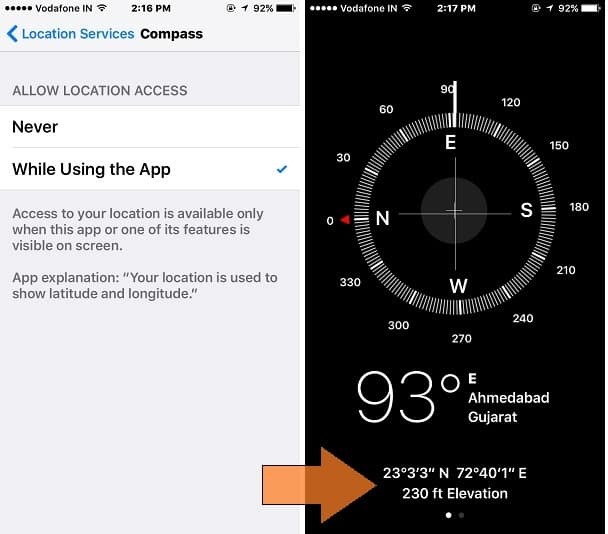 Share your feedback and Question on alternative ways of getting GPS coordinates of the current location on the iOS device, So far.